The importance of the theoretical and practical aspects of hydrographic database design and management to support the development of marine, national and regional spatial data infrastructures (SDI) was again demonstrated by delegates attending the second in a series of capacity building courses, held 26-30 March 2012 in Colombo, Sri Lanka. 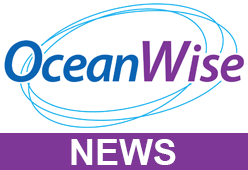 The course was hosted by the Sri Lankan National Aquatic Resources Research and Development Agency (NARA) and delivered by marine data and GIS experts OceanWise and Caris. The course was supported financially by the International Hydrographic Organisation (IHO). Delegates came from countries throughout the North Indian Ocean, and Southern Africa and Islands regions, including Bangladesh, Comoros, Kenya, Malawi, Namibia, Oman, Saudi Arabia, South Africa, Sri Lanka and Tanzania. Feedback from delegates was excellent, demonstrating the importance of good data management practices, not just to support emerging uses of hydrographic and oceanographic data, but also as a critical foundation for all hydrographic office activities. With continuing support, there is a much better chance of the IHO’s general, and the MSDI Working Group’s specific aims being met through more effective data management, database design and organisational efficiency.